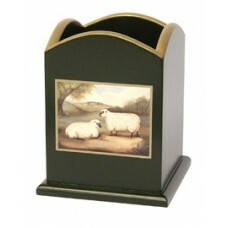 Desk Tub Naive Animals on a bottle green painted background with gold trim and a green felt base. 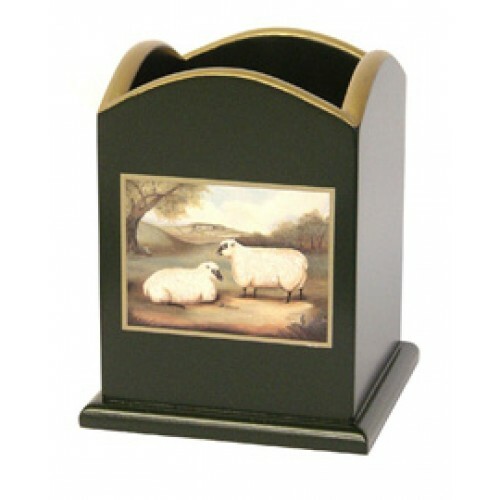 Coated with a protective layer of lacquer. Image by Alexandra Churchill. Size 90 x 90 x 125mm.